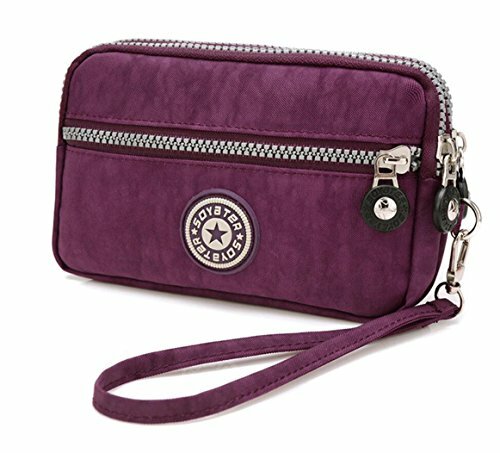 The mini bag is slim and compact, made of shock resistant nylon, cool and pretty. It has 3 separated pouches,great for mobile phones, MP3 and your small daily essentials such as cosmetics, money, cards, keys etc.Can hold iPhone 4 5 5s 5c, iPhone 6, iPhone 7, Samsung Galaxy s3, s4, s5, s6, s8, note4, note 5, note6, note7, note8, cellphone under 6.3 inch. This nice pouch has convenient wrist strap, you can wear as a wrist bag. Designed for all kind of ages.such as girls and women, college students, teens, mother. Occasions:Casual,walking,shopping and everyday use. If you have any questions about this product by Coolstar, contact us by completing and submitting the form below. If you are looking for a specif part number, please include it with your message.